There are plenty of good reasons to always make sure your knife is as sharp as it can be. Obviously a honed blade cuts better, but you're also less likely to hurt yourself with it. And have you ever tried to slice a tomato with a dull knife? You may as well just skip the extra step and crush it with your hands. 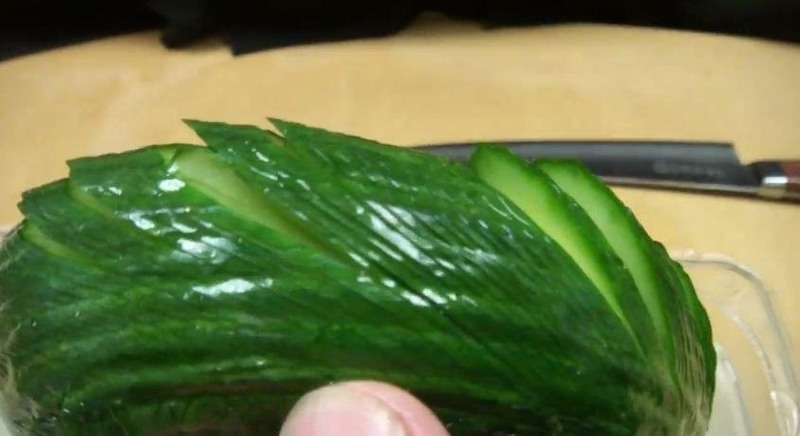 But if none of those are enough to convince you to break out the sharpening stone, this trick by Master Sushi Chef Hiro Terada just might be—with a sharp enough knife, you can make a cucumber slither like a real, live snake. 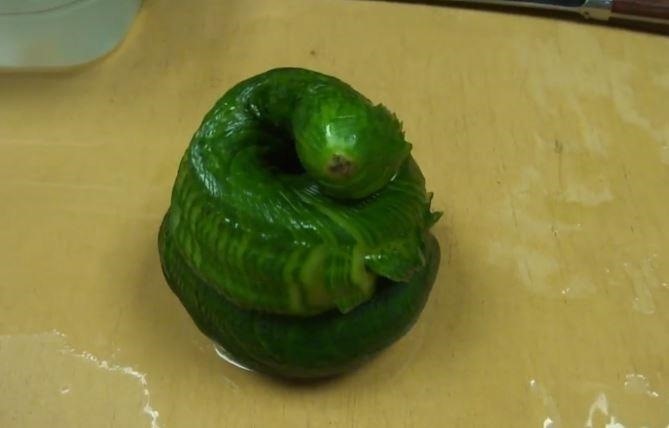 Chef Terada created this "cucumber snake" by making tons of precise angled cuts on each side. The cuts are very close together but don't go all the way through, which allows the cucumber to bend and slither like a snake. 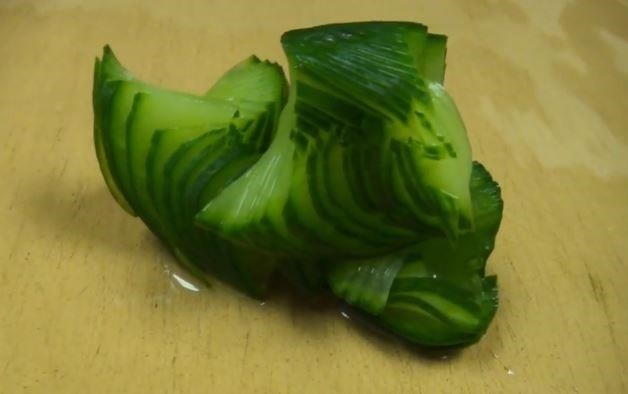 Once the cuts are finished, Chef Terada soaks the cucumber in salt water for 30 to 45 minutes to soften it. After soaking, it's soft enough to twist and coil into any shape you want. Obviously you'll need to be pretty comfortable with a knife to pull this off successfully, but with a sharp blade and tons of practice, this trick could be a great way to brush up on your skills. 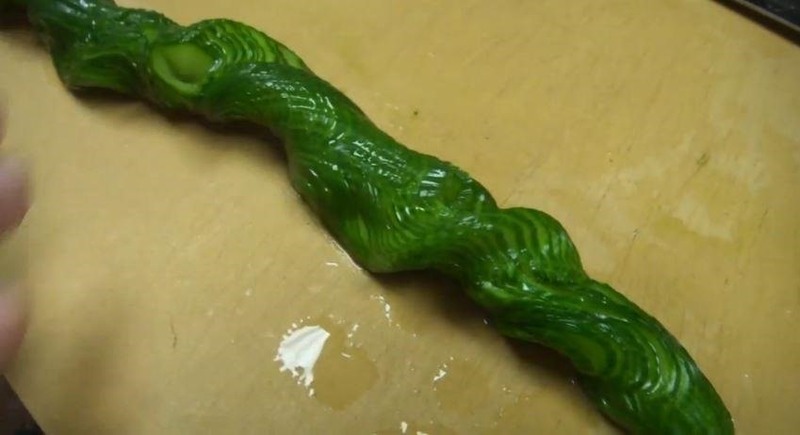 It would make a great addition to a snack table for Halloween, especially if you could figure out a way to make it move on its own. If you plan on trying it out, be sure to check out Dustin Courts' guide to making your knife as sharp as the devil himself before you get started, or just grab your coffee mug if you're in a hurry. And don't forget to upload your own photos of your results in the comments section!